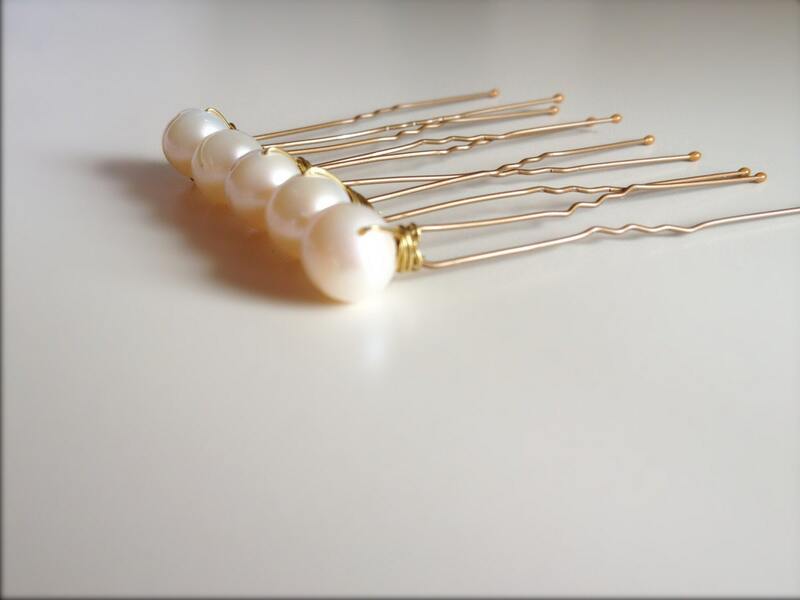 These Hairgrips use freshwater pearls for a simple addition to a brides hairstyle. This listing is for 5 hair grips. Grips Measure approx: 5cm in length. Grips arrive packaged in a box.